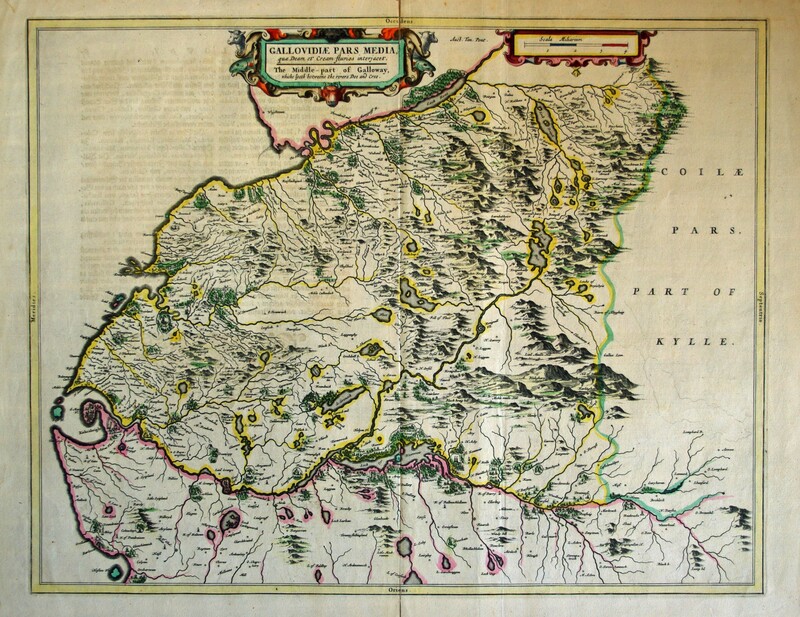 Blaeu's map of Mid Galloway, German text. 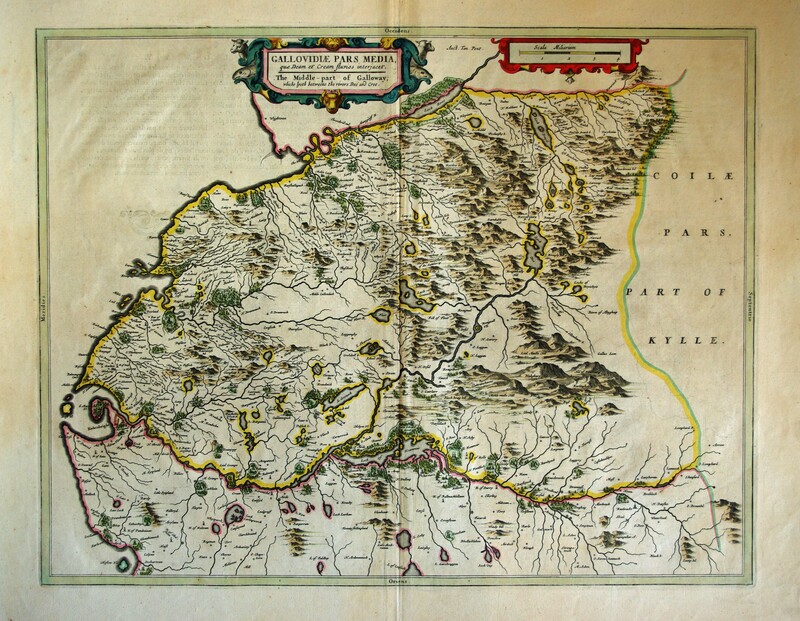 We have another quite good copy of Mid Galloway with French text at £375. Condition&colon; Split at centrefold and marginal tear.